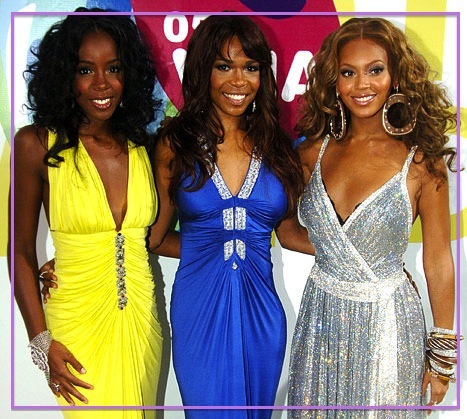 KayKiSpeaks.com: Destiny's Child is BAAAAACK ...New Music- Nuclear! Destiny's Child is BAAAAACK ...New Music- Nuclear! Yes Lord!!! Let me take this in. My favorite girl group is set to reunite and hit the stage again at the Superbowl. It was already made known that Bey was doing the halftime show. Now it's being reported that Bey is bringing two of her favorite girls along with her..Michelle and Kelly. This is what fans have been waiting for. We haven't seen these three on stage together since 2006! We've seen them grow so much musically and personally. It's going to be awesome to see their energies collide on stage together again. The trio will also be releasing an album this year. It's set to be a compilation album with one new record titled, Nuclear on it. Well I can't think of anything more exciting for a girl like me who grew up with these ladies..wait.. maybe LaTavia and LeToya walking out- but what are the chances?! I'll just take what I can get.